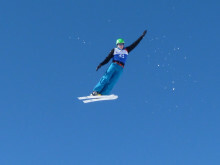 Freestyle skier Lloyd Wallace, 20 from Shaftesbury in Wiltshire, has today been named as SportsAid's athlete of the month after winning Britain's first ever gold medal at the Europa Cup on Sunday just two weeks after landing Britain's best result at the World Cup in two decades. Read SportsAid's interview with him here. 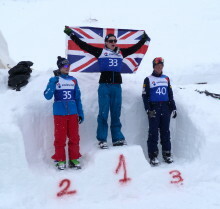 Aerial skier Lloyd Wallace, 20 from Shaftesbury in Wiltshire, won Britain's first gold medal of the Europa Cup yesterday with victory in Switzerland - just two weeks after landing the best World Cup finish by a British athlete in two decades. This week he has been named as SportsAid's athlete of the month.